Although HIMSS19 is way past us, ideas that struck a chord with who’s who of healthcare at the event are still reverberating across the nation, even two months later. IDC, a premier global provider of market intelligence, advisory services, and events for the information technology, telecommunications, and consumer technology markets, released its much-awaited Market Perspective report on HIMSS19 a few days back. While it was exhilarating to read about Innovaccer in arguably the most in-depth analysis of HIMSS19 by far, I couldn’t help but notice how they evaluated each trend and came up with insights that will genuinely impact healthcare organizations in days to come. What did IDC find at HIMSS19? #US44911519, March 2019) highlights key insights from HIMSS19. It took various challenges healthcare organizations face into account, and how healthcare technology vendors flair under three broad themes, namely data platforms, artificial intelligence (AI), and population health management. Cynthia Burghard, Research Director at IDC and the author of the report, has made some keen observations through the report. The report explored multiple domains across the breadth of healthcare-related boulevards. It throws light on the ever-increasing significance of population health management and also talks about the importance of integrating clinical, behavioral, social, and human services. Additionally, it affirms the need to shift towards new-age technologies and asserts that Artificial Intelligence (AI) is indeed improving clinical and operations processes. The report compares and contrasts practical and possible solutions to long-standing problems within the healthcare system. Acknowledging data as the numero uno asset for healthcare organizations, the IDC research explores the progress made by key technology players in providing clinical decision-making support and relevant insights that can help in optimizing care and cost outcomes. Healthcare data: An ocean of endless opportunities or a black hole? Healthcare data is a double-edged sword. Data can empower providers with information that can positively impact care quality if made available in real-time. However, information overkill can potentially sabotage the very cause of optimizing care outcomes and result in provider burnout. There is a very thin line between making the most out of your data and getting lost in never-ending data sets. Any insight generated after multiple days of circumlocution is practically of no use to providers. Healthcare organizations today need orchestration engines that can aggregate, refine, and churn relevant information right in the moment of care. They cannot afford a makeshift approach. They need high-level expertise and execution skills to thrive in value-based incentive models and ensure maximum patient satisfaction. To manage data that organizations work really hard to generate, having a single source repository to view clinical, operational, and financial trends is a must. However, it is equally important to take note of the economics of these solutions and if they are really worthy of investments and upside-down changes in the IT infrastructure of your organization. In fact, this is something that most healthcare leaders explore and identify at conferences such as HIMSS19. What does IDC have to say about Innovaccer’s Data Activation Platform? Describing Innovaccer’s portfolio, the analyst notes that Innovaccer is automating the process of mapping data from various sources with its machine learning-based algorithms. The report states that Innovaccer is a relatively new entrant in the market, automating the mapping of data across various source systems with its enterprise data activation platform. Commenting on Innovaccer’s Data Activation Platform, the analyst also mentions that the company is working on reducing the time to value and allowing organizations to leverage customized solutions to meet their business needs. On a personal level, I am not only pleased by the recent mention by IDC, but I also believe it is a testament to the data integration and embedded analytics capabilities of our data activation platform. With our data activation platform, we work hard to right the wrongs of healthcare technology and support each member of the care ecosystem, ranging from physicians to care managers and patients. Innovaccer also provides an exhaustive set of solutions for payers to enable payer-provider collaboration while also assisting them in improving their Star Ratings and performance on key quality measures. With the advent of cutting-edge technologies like AI and machine learning, health IT is gaining prominence with each passing day. 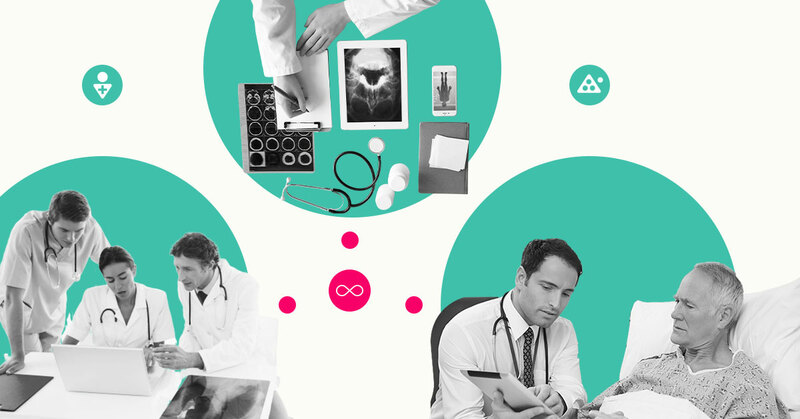 Our fundamental quest is to manage the ever-expanding data coming from various sources and to make the lives of providers, patients, and payers easier with our Data Activation Platform. In days to come, we plan on further strengthening our AI-enabled solution suite with a continuous focus on empowering providers with embedded analytics that go right into their workflows. To know more about how can leverage data activation platform to optimize care and cost outcomes, get a demo.